Home is where Mom is, right? Right. I am thinking of all the “happy Mothers Days” we’ve celebrated in our own way. What really stands out is the love and joy we felt. Even though we argued a lot and were rather radically different by nature, we were firmly bonded by the love, admiration and respect we had for each other. I treasure that so much. Remember how, when we were broke and had something to celebrate, we pretended an idli was a cake and stuck a miniature candle in it? So funny to think that blowing a candle feels so …er… festive. 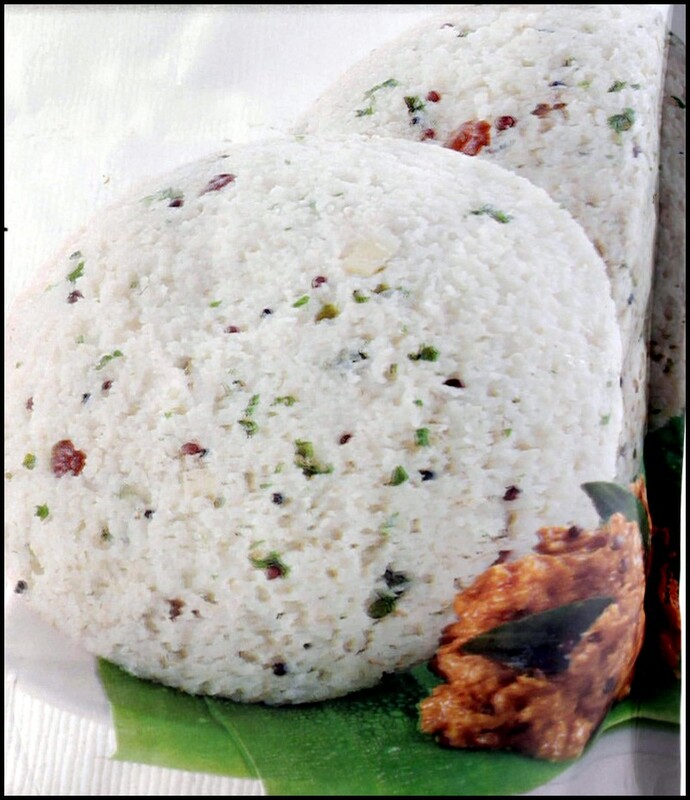 Talking of idlis, did I tell you we now have three options in idli – and Vidur is happy with all? He’s a real buddy, I tell you! 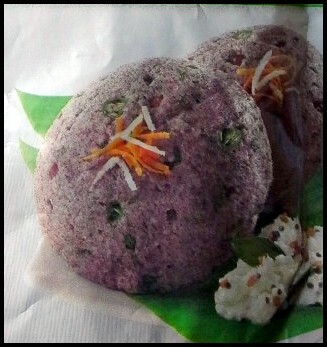 In addition to the “regural” idli, we now make ragi idli. Ragi is not bad at all! Imagine – we hardly ever cooked it before my DD…erm…diabetes diagnosis. Then there is oats idli. Tastes pretty much like our usual upma! Rusk makes a good snack. “risk edukkaradu enakku rusk saapidara maadiri” (taking a risk is as trivial as eating a rusk for me!). The Britannia guys now have a baked suji rusk option which is a lesser evil in processed food. Every time I pick a couple from the jar, I remember how we loved those brown end pieces, browner than the others and always picked them out to finish first! Moving on to sweeter things, paruppu payasam (lentils sweet) is the new regular now. After all, family payasam no? When I made it for the Thamizh New Year, the only difference was the vadai accompanying it. I traditionally made the red pumpkin sambar and beans curry with coconut this time, Mi! By the way, I just couldn’t control the tears last week while making and eating the pavakka pitlai (bittergourd sambhar). It turned out so well (and why not!) and I reminisced how you and I enjoyed it so much. I still don’t have the heart to make kathrikkai rasam (brinjal rasam). Sigh. How we would giggle as we watched the level go down when we tucked into it! Remember how that Vijaya introduced us to the typical Andhra stuffed brinjal? Heavenly. What a good cook she was! In our quest for new sweet ideas, I came across a paneer gulab jamum recipe and decided to try it out. While it came out well (how can one go wrong with paneer and syrup eh?) I think the recipe’s proportions were all wrong. A total egg in the face moment. Although the boys rallied around and said it was not so bad. I imagined you laughing at me – asking who in their right minds would add so little flour to the crumbled paneer and fry it and expect it to absorb the syrup! Hmm – we live and learn no? I now understand why you always trusted your gut feeling tweaked any new recipes that you tried out. Experience! 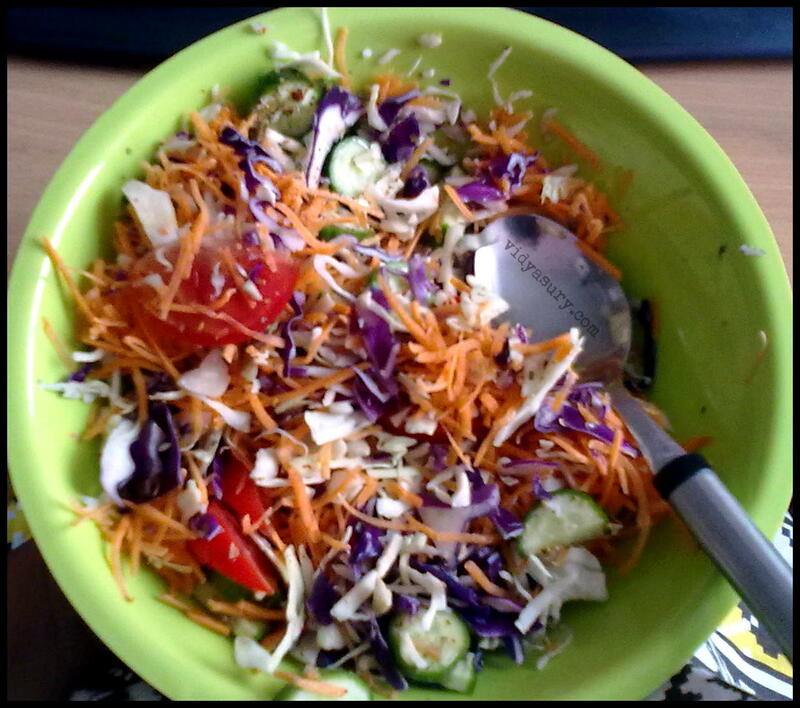 Anyway, I am sticking to my good ole salads! i am sticking to my salads! You know, almost all the containers on our kitchen shelf are now see-through bottles with yellow lids. No labels. What fun we had writing our own names for the contents. I am laughing thinking of the “vidya masala” and “devi special” that our visitors who came into the kitchen wanted to know about! Oh, did I tell you I no longer make curry powder? I make it on the go with all the ingredients in place when I cook the veg. Which reminds me – you know what happened last week? It was time to make the dosai milaga podi. Arrgh. And my biggest problem was – I can’t even have the fan on when I roast the dals because the stove goes crazy! So I simply tied that turban on my head and grinned and bore it. 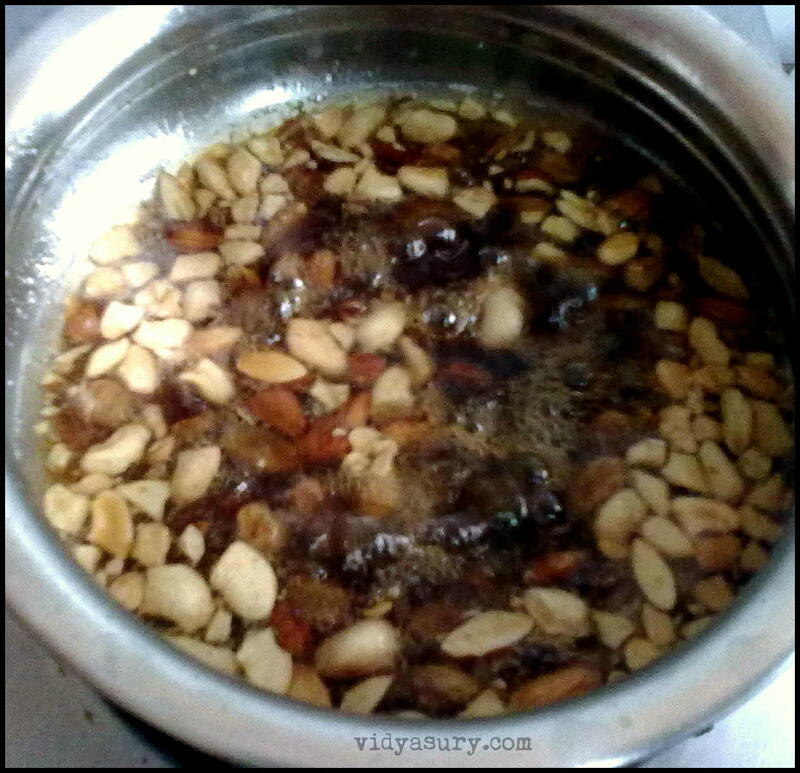 So – to keep the idlis to steam and roast and grind was all there is to it, right? I started grinding. Just as I was finishing, imagine my shock when the mixie’s bush broke. Yes. I was stunned. It was like a solid kick in the teeth. Serves me right for dragging my feet on this one! But the first thing I thought was – what luck that I had the dosa milaga podi done! So anyway, after my usual freaking out over whether to buy a new mixie, I just went and spent Rs.75/- to replace the bush. And, you know what I finally did? I got our shwee pan fitted with a handle! Yes! So excited about it – suddenly life seems easier because I don’t have to struggle holding that little baby with the tongs. I imagined how you and I would have celebrated that little victory that took so long to achieve! The weather has turned cooler over the last couple of days with summer showers blessing us, Mi. That tree on 6th Main is once again weighed down with those beautiful pink flowers. Must take a photo of it. Remember how we would walk that lane almost every day and keep on planning to click a pic – and then finally, never get around to it. Now thanks to the mobile phone camera, less procrastination. Hmm. So Vidur’s vacation has begun. Feels crazy to think that this will be his last “school” vacation, Mi! I wish you had been here, we would have had so much fun planning lots of things. We’ve made a list of all the stuff he’d like to eat. And oh, you know what? He made pasta two days ago. Yes! All by himself and it turned out fantastic. That boy sure knows how to learn slow and steady. And I can trust him to follow instructions exactly! I keep thinking, how you and he would watch recipes on tv and then, holding hands, walk to the kitchen and immediately try something new and relish it. These days I always have an ear to the ground for diabetes-safe recipes and I am lucky that both Sury and Vidur are so lovingly cooperative. Okay, now I must have my second coffee and find out why neither of them remembered to say Happy Mothers Day to me. I am gloating over how they’ll both make it up to me! Oooo.. The oat idii looks so good. Do you give out recipes, too. I’d like to try some of these. Now I’m hungry. Hi Adela! 🙂 Yes, of course I give out recipes. Let me put this one together coherently and share it with you! It is easy to make and very healthy! Thanks for coming by! So did they wish you ??? O Vidya, vidya….how do you do all this! Write like this and cook like this 🙂 Really this is such a “living” kind of writing – it is so alive and soaked in your love for your mother and how you shared and continue to share all these little moments of joy in daily life. While there is a lot of tempting food stuff in here, to me this post is really about something else – food for the soul of a daughter, I think. I could never be a daughter like this for my mother, maybe that’s why this feels so beautiful to me. I have no words to add anything, except thank you for writing this! Yummy Idlis, and paruppu payasam. I felt as though I was silently listening to you talk … That’s what I love about your posts Vidya…really! So very sweet, Vidya! And, reiterates the fact of food being a binding factor in any family! Hope they make up for the temporary memory loss soon!! Happy Mother’s Day. I hope you had a great day. Such a comprehensive pawst, my dear human friend. I get a bit confused because my human tells me about Mother’s Day in March and now I note the one in May. However, it’s all good. 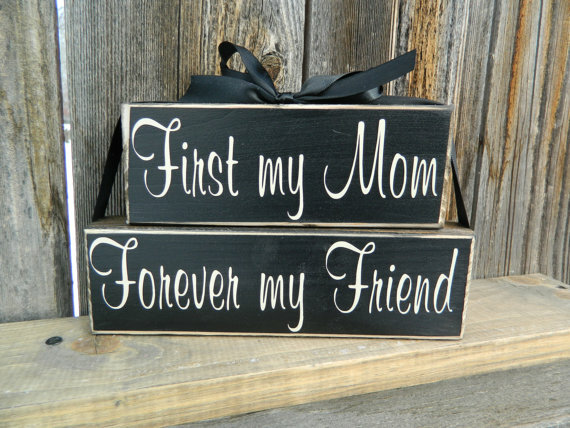 You love for your beloved mum or (mom) along with that food resonates within your pawsting. Hope you have a peaceful, pawsitive, Mother’s Day.